A winter count is a record of tribal history. Each year the keeper of the count added one symbol, representing a significant event from that year. 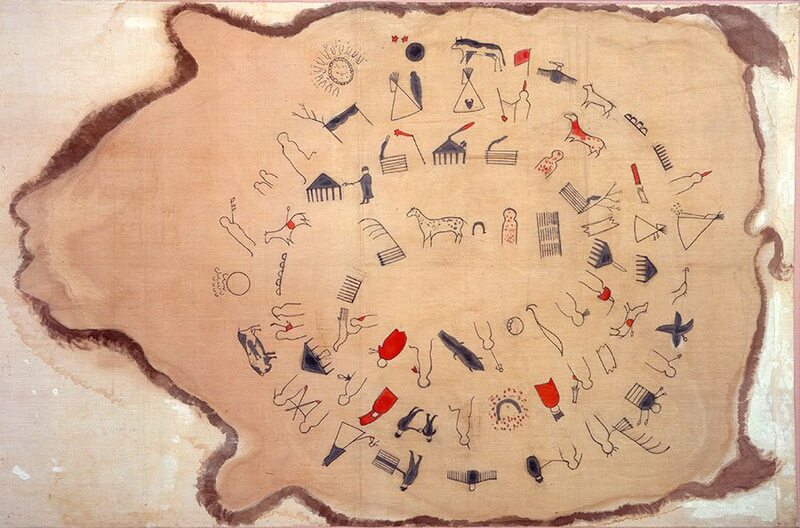 Lone Dog’s count, painted and drawn on muslin, records the years 1800 to 1871, beginning in the center and spiraling out counter-clockwise. Winter counts were originally painted on buffalo robes and were often maintained through several generations and shared with other tribal members to help them remember their histories.